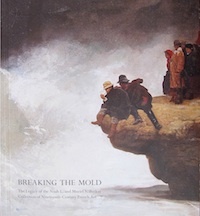 "Breaking the Mold: The Legacy of the Noah L. and Muriel S. Butkin Collection of 19th Century French Art" (Notre Dame, IN: The Snite Museum of Art, 2012). Distributed by the University of Washington Press. "Illusions of Reality:Naturalist Painting, Photography, Theatre and Cinema, 1875-1918" (Amsterdam: Van Gogh Museum, Helsinki: Ateneum Art Museum, Bruges: Mercatorfonds). Distributed in the United States by D.A.P., New York, New York. 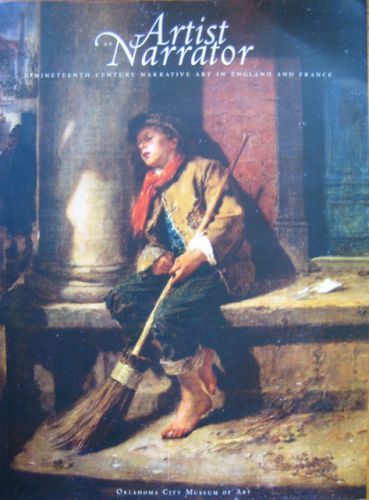 "The Narrative of the Fields and Streets: Nineteenth-century Rural and Urban Imagery", in Artist as Narrator. Nineteenth Century Narrative Art in England and France, Exhibition catalogue (Oklahoma City: Oklahoma City Museum of Art, 2005). 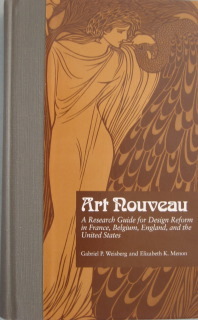 The Origins of L'Art Nouveau, the Bing Empire, Van Gogh Museum (Amsterdam), the Musée des Arts Décoratifs (Paris), Mercatorfonds, distributed in the United States by Cornell University Press, 2004. 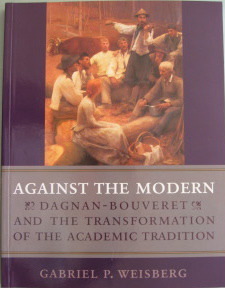 Against the Modern, Dagnan-Bouveret and the Transformation of the Academic Tradition, New York: Dahesh Museum of Art and New Brunswick: Rutgers University Press, 2002. 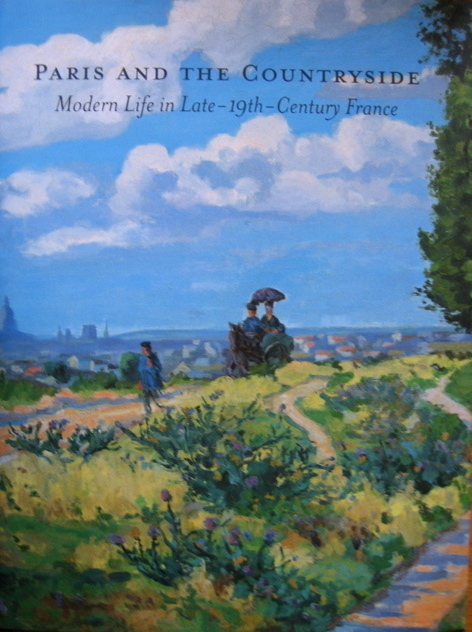 A publication prepared for the first international exhibition of the paintings and drawings of the arch academic painter Dagnan-Bouveret in over one hundred years. 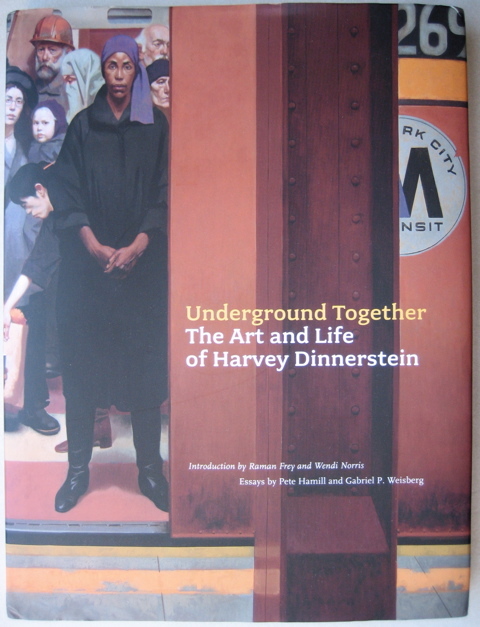 The show (and publication) were prepared in conjunction with the Dahesh Museum of Art; the exhibition was held in New York City at the National Academy of Design while the Dahesh Museum's new home was being prepared. The exhibition demonstrated Dagnan-Bouveret's crucial role during the 1880s in the international diffusion of a photographic naturalism; his turn toward symbolism was also chronicled in the show and publication demonstrating the diversity of Dagnan's approach. 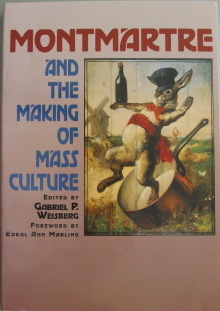 Montmartre and the Making of Mass Culture, Editor, New Brunswick, New Jersey and London: Rutgers University Press, 2001, 296pp. In a series of interlocking essays (edited by Gabriel P. Weisberg) authors provide a historical context for changes in Montmartre while also providing useful study cases that focus on the cabarets and artistic community in Montmartre at the turn of the century. The origins of popular performance are suggested; ways in which new audiences were solicited are stressed in a number of the essays. While the Académie Julian was known as an independent teaching studio for men little had been published on the role this institution played, from the 1870s onward, in professionalizing art training for women. 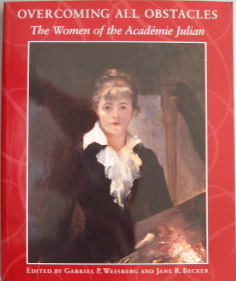 A series of case studies, in this book, provide an accurate way to assess the training women received in Paris in the atelier of William Bouguereau or Jules Lefebvre. Women came from all over the world (as far away as the United States or Poland) to be trained at the Académie Julian. When they returned to their native soil many became art teachers; others continued their painting careers by producing life-like portraits of sitters, demonstrating that the Académie Julian training had been instrumental in molding their careers. 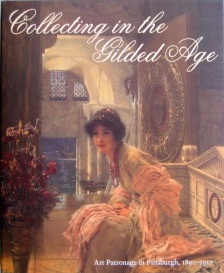 Along with Elizabeth K. Menon, the author provides extensive annotated entries for books, essays, articles and exhibition catalogues that chronicle the ways in which design reform emerged from the 1880s onward. 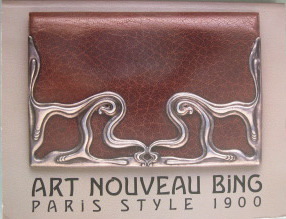 In examining France, Belgium, England and the United States an international network of similar themes and creative ideas are probed in entries that accurately reflect how design reform and art nouveau created a new view of the world that stressed a utopian dimension. In focusing on art collecting in Pittsburgh, Pennsylvania from 1890-1910 significant collectors of European art were identified and the artists they secured recorded. 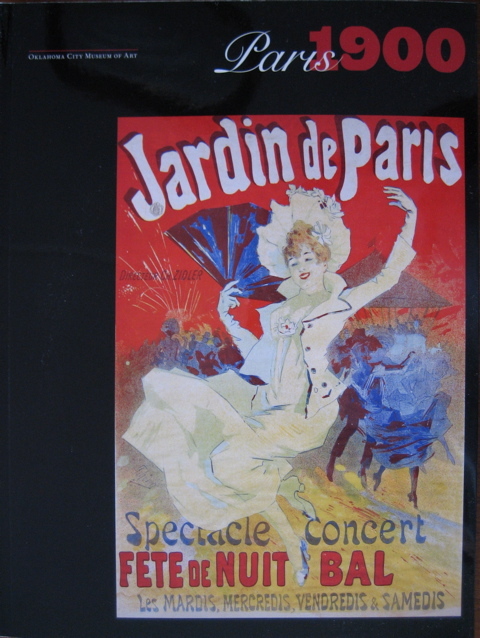 In this way, Pittsburgh, and specifically Henry Clay Frick, among others, were seen as patrons of a type of modern European painting that was supported by independent art dealers and public Salon exhibitions. For far too long genre painting was seen as an inferior category of artistic expression. 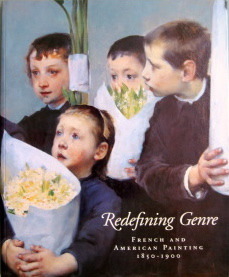 This exhibition and publication tried to rectify this problem by demonstrating the broad diversity of genre imagery in France and America from 1850-1900. 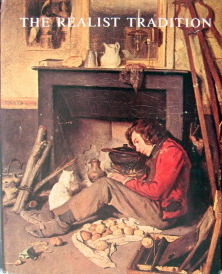 The public taste for this type of imagery is recorded; the ways in which critics responded to the huge number of genre painters is also noted. This book, co-edited with Petra T.D. Chu, revealed a strong penchant for popular art and imagery under the July Monarchy. 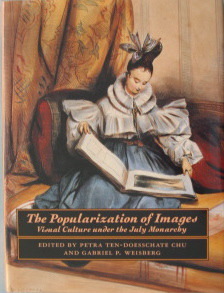 A series of essays effectively examine the reasons why certain images Ð or social types were actually created - demonstrating that the July Monarchy was a far more complex period in the visual arts than first imagined. 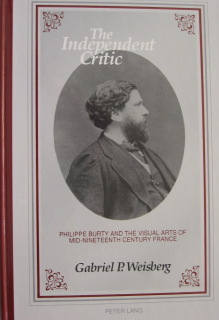 The Independent Critic: Philippe Burty and The Visual Arts of Mid-Nineteenth Century France, Bern & New York: Peter Lang Publishing, Inc. The first comprehensive study of the life and public career of the art critic Philippe Burty (1830-1890). 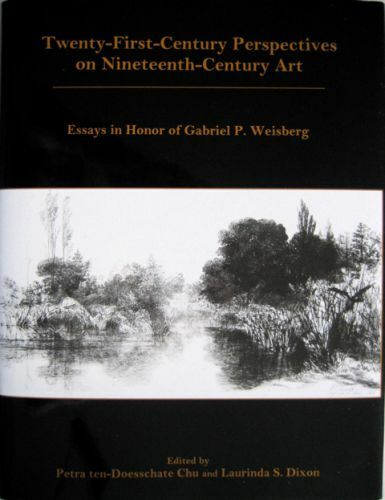 The critic is contextualized so that his thematic interests are carefully revealed in chapters that examine his contribution to the etching revival, Japonisme, his support of the early romantic masters (especially Delacroix), and his advocacy, from the beginning, of the Impressionists. Burty emerges as a passionate defender of modern ideas and a committed collector whose objects were often studied by artists such as Edgar Degas, Edmond de Goncourt or the printmaker Félix Bracquemond. Seen in conjunction with The Realist Tradition exhibition and publication, this book (the first of its kind to chronicle this tendency) revealed that there was an international naturalist movement in painting. Artists in France, England, the United States, Germany, Hungary, Belgium and Scandinavia were seen as working in a similar vein (at the same moment in time) and often giving significant credence to the ways in which photography and painting worked closely together. 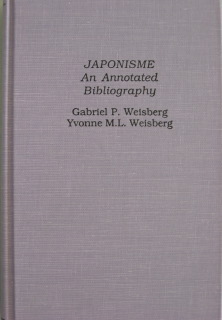 Japonisme: An Annotated Bibliography (co-author), Garland Publishing Co.
A series of annotated entries listing books, essays, articles and exhibition catalogues that examine the phenomenon of Japonisme from the 1850s until modern times. 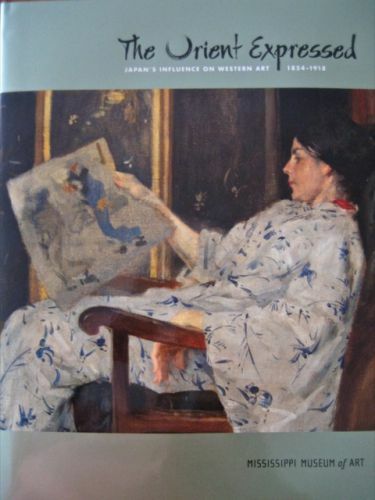 Useful for compiling primary references on the topic and for having an overview of the ways writers have studied Japonisme as a cultural and artistic phenomenon in Europe and the United States. As part of the program of the Wolfsonian Foundation, in Miami Beach, Florida, this exhibition - using Wolfsonian objects solely - reconstructed the taste for this turn of the century movement in all the applied arts. 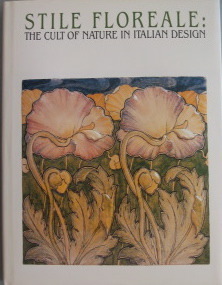 In showing the ties with nature, the Stile Floreale was seen as an off-shot of the international art nouveau movement that affected many other countries at the same time. This first book on the activities of the art dealer and entrepreneur Siegfried Bing (1838-1905) revealed the ways in which he was a pivotal force on the art scene. Bing's training as a master craftsman helped in the ways in which he supported designers and craftsmen at the end of the century. His interest in promoting Japanese art, through sale of objects and the establishment of his own magazine - Le Japon Artistique - led to Japanese art being seen as a basic ingredient for design reform. From his gallery and workshops, Bing helped initiate a worldwide movement that was well known but often overlooked his contributions as the main patron and promoter from 1895-1905 of this new aesthetic. 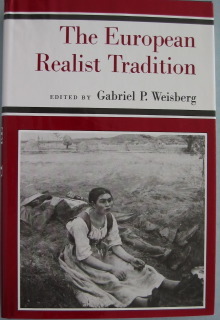 The Realist Debate: A Bibliography of French Realist Painting, 1830-1885 (co-author), Garland Publishing Co.
A series of interlocking essays (edited by Gabriel P. Weisberg) demonstrate that there was an international realist tradition that touched creativity in France, England, Switzerland, and Germany among other locations simultaneously. Painters and writers found a common dimension that made art work more accessible for the common person by often providing easily understandable narratives in oil paintings for public display. 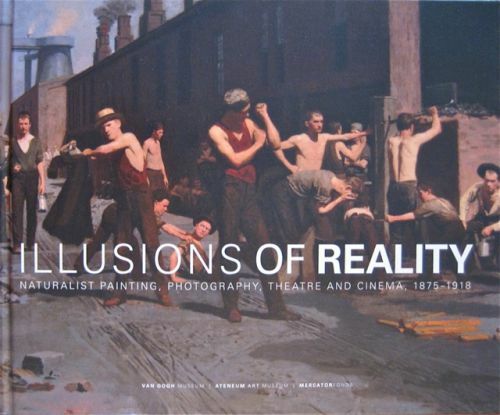 This ground-breaking exhibition and publication demonstrated that there was a large-scale realist painting movement (far beyond the work of Gustave Courbet) that led to a new way in which artists from all backgrounds responded to daily life and social conditions. The realist canon was expanded with this show; a second phase emphasized a large-scale naturalist component that touched Impressionism but also was very much concerned with the ways in which the environment, as discussed in novels by Emile Zola, influenced visual creativity. 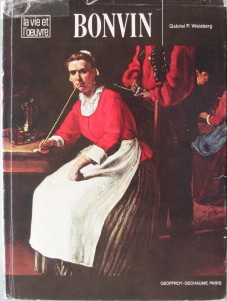 Based upon the work of an earlier monograph by the French art historian Etienne Moreau-Nélaton, this book expanded the context and range of François Bonvin's paintings and drawings. 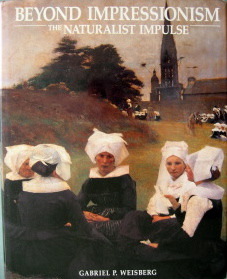 He was seen as a seminal figure for French realism. 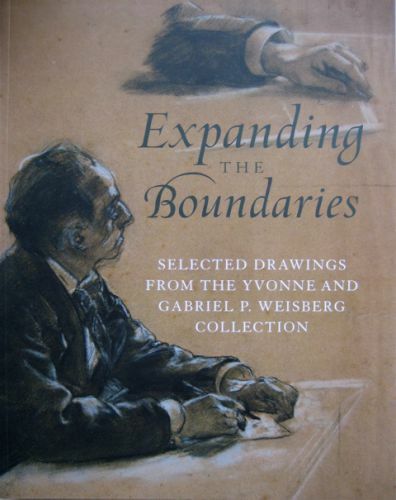 The catalogue section in this book has provided evidence of creative work that had long been unknown helping to effectively reestablish François Bonvin's place on the international art scene.